New Year is fast approaching and you might or might not be considering to make or revise your list of resolutions. I’ve been thinking about setting up something to better track my goals while still having everything digitized so I don’t have to deal with disorganized-looking, easily-lost lists with scratched items. Joe’s Goals and Joe’s Logbook are two really great productivity apps that combine journaling and goal-tracking Change Bad Habits With Joes Goals Change Bad Habits With Joes Goals Read More in a very easy-to-use interface, which inspired me to write this post. 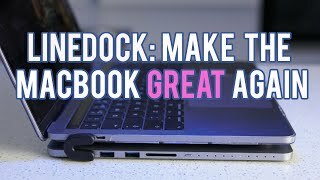 Of course, as dedicated logbooks, Joe’s free tools will outshine my simple method, and will definitely help you if you want systems that just work without much setup. 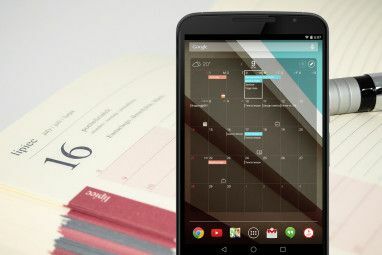 If, however, you’re an avid Google Calendar user, check out the following guide to log your goals’ progress in your favorite calendar application. Think about the five or three main goals that you want to accomplish in 2011. For each of those, you’ll have to create a new calendar by clicking Add in the main calendar box on the left. Remember to precede the name of the calendar with a number to see the calendars (and events) ordered by priority. If there are items tucked away in, say your “Someday” list, now you will have all the reason to follow through with them since they will be visible in your calendar. There are also other advantages to creating new calendars for each goal to track. First, you’ll get color-coded events for easier visualization since Google doesn’t offer customizable color options for individual events. Second, if you want to only look at the progress of one goal, you can easily only display that calendar and hide the others temporarily. And of course, you’ll get see these goals separately from your main calendar so you won’t see a mix of to-do’s and events. 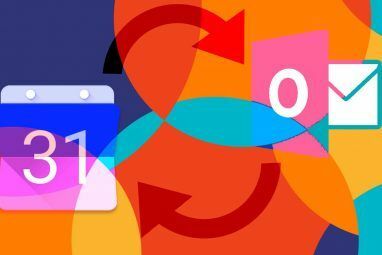 If you use an iPhone or iPod Touch, you can even see and sync the color-coded calendars as detailed by Lifehacker by checking the appropriate calendars in this page. If you don’t want to remember any Unicode numbers, the Event Flair feature will probably best work for you. Go up to Settings > Calendar settings and click on the Labs tab. Find Event Flair, enable this feature and press on Save. Click on today’s date on the calendar to add an event and just log what you did for a specific goal. If you want the item to be highlighted, you can leave it as an all-day event. Otherwise, you can simply choose a start and end time for the item, preferably in a time that you don’t ever schedule anything (like 11:59pm) so it won’t come in conflict with your actual events in the main calendar. To make use of the Event Flair feature, select any calendar entry and the Event Flair gadget window on the right sidebar will display the name of the selected entry. Now, just pick an icon to represent whether the entry is a step forward or backward in your goal path. After a few seconds, your entry should have the icon. A disadvantage when using Event Flair is that the icon is only visible when you go to the website on your computer browser; if you sync your calendar to your iOS device, for example, the icons won’t show up. That’s why using Unicode symbols work. You might need to go to your Start Menu in Windows and type Character Map to find the desired symbols. You can also consult this list from Wikipedia. The ones I’m using are called “heavy check mark” (âœ” from U+2714) and “heavy ballot x” (âœ˜ from U+2718), which are thicker than other symbols and are more visible. You can either copy and paste them, or remember the Unicode numbers. To invoke them in Ubuntu, check this handy guide. As mentioned before, you can see the items with their respective symbols in an iOS device. After you update your progress everyday on your monthly calendar view (or custom 2- or 3-week view), the fruits of your fun logging will look something like this (note that other calendars are hidden). You basically will have a hard time adding items in your calendars via text message because you can only send items to your main calendar (not to specific calendars). 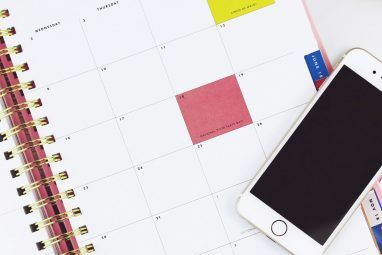 If you’re using a smartphone app, like the built-in Calendar in iOS, you can input items but for the symbols, you’ll have to use copy and paste, which can be tedious if done on a regular basis. There are also many more features in Joe’s Goals and Logbook, so you might actually not want to do my method here. Joe’s Logbook, for example, will let you create logbooks for separate things, so you don’t have to cramp everything in your calendar, if it’s already heavy. There’s also no way to graph your progress for things you spent more time on. If you set starting and ending times for your entries, you might want to look into Youcalc’s Time and Activity Report app for GCal as it can produce some neat-looking charts. Overall, this could be a fun way to log your progress with certain goals or New Year resolutions. Now, whether you want to give yourself three months or a whole year to accomplish your specific goals, that’s up to you, but at least, you can use a service that you’re already frequenting to keep track of them. Here are other services 5 Fun Personal Web Apps to REALLY Track Your Life 5 Fun Personal Web Apps to REALLY Track Your Life Read More that might help you track your life in a fun way. What do you use to log your progress? What Is Data Corruption? How to Fix a Corrupted Hard DriveBooks Ngrams Viewer: View usage of words & phrases in books over a period of time. Wow this seems a lot of work to just set some good quality contracting goals but I suppose if it works for some then its a good idea. You can choose which calendars show up in iOS at this page. I hope that's what you're talking about. Hmm, there is this handy website, Twitter Keys, that lets you copy lots of unicode symbols. Maybe you could try that? Thanks for the article. Say you enable the google calendar lab to your gmail, will your goals appear in there? Yes, they will appear as long as you click on Options > Edit Visible Calendars in the GCal gadget and choose the appropriate calendars that you want to display. Even the Event Flair and the Unicode characters will show up.